Favre cannot bear the thought of getting out of the four-poster bed he shares with his girlfriend of 10 years, Deanna Tynes. This has nothing to do with the previous night's celebration of his artistic 342-yard passing performance against Detroit, which consisted of a single light beer. This has everything to do with the throbbing turf toe on his right foot. And the right shoulder he had heard go snap-crackle-pop when it was jammed into the turf 20 hours before. And the lower-back pain he feels every Monday, the lingering result of a lumbar fracture suffered in a 1990 car accident. And the arthritis that he knows is advancing in both hips. And his aching right side, which is the worst of all his ailments. 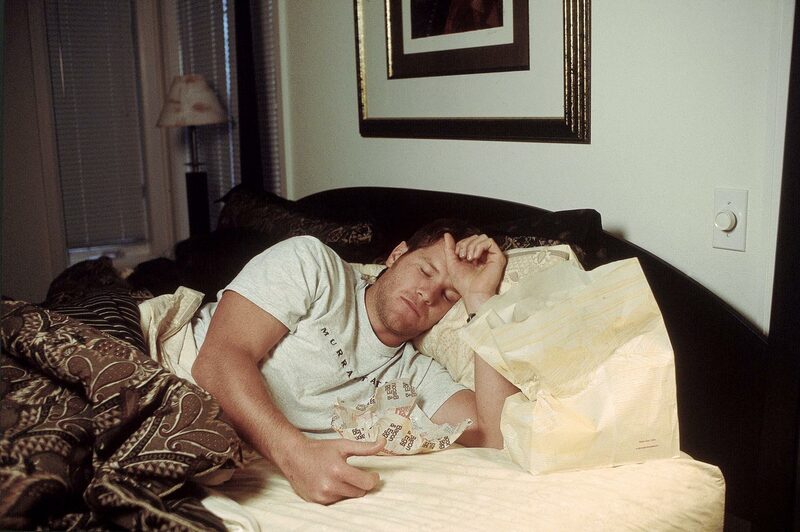 Favre, still in bed, rests after polishing off some fast-food breakfast Deanna picked up. Eating triggers more pain. When he chews, his jaw aches from the brutal helmet-to-helmet hit he took from Pittsburgh Steeler linebacker Greg Lloyd in the preseason. 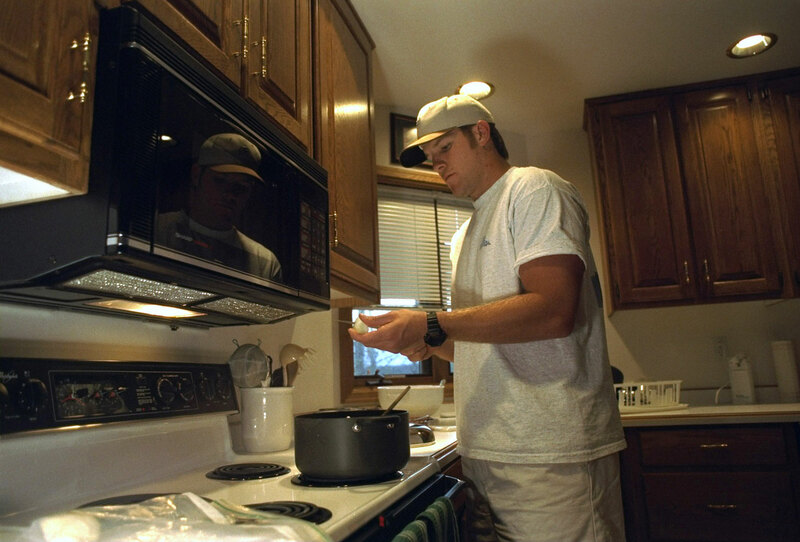 At 11 a.m. Favre leaves his house for the two-mile drive to the Packer training complex at Lambeau Field. There, strength-and-conditioning coach Kent Johnston sets to work on Favre's aching body, guiding him through exercises that include sit-ups and a medicine-ball drill designed to loosen his stiff joints and muscles. "I'm a new man!" Favre announces as he pulls out a plastic bottle from behind Johnston's counter. The label reads musashi. "It's branched-chain amino acids from Australia," Johnston says. "It helps with recovery after a workout." 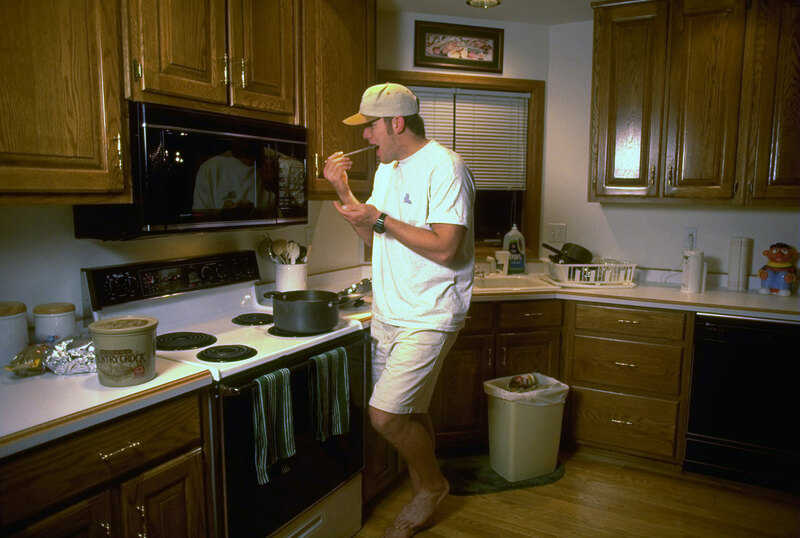 Favre puts two teaspoons of the white powder on his tongue and washes it down with spring water. 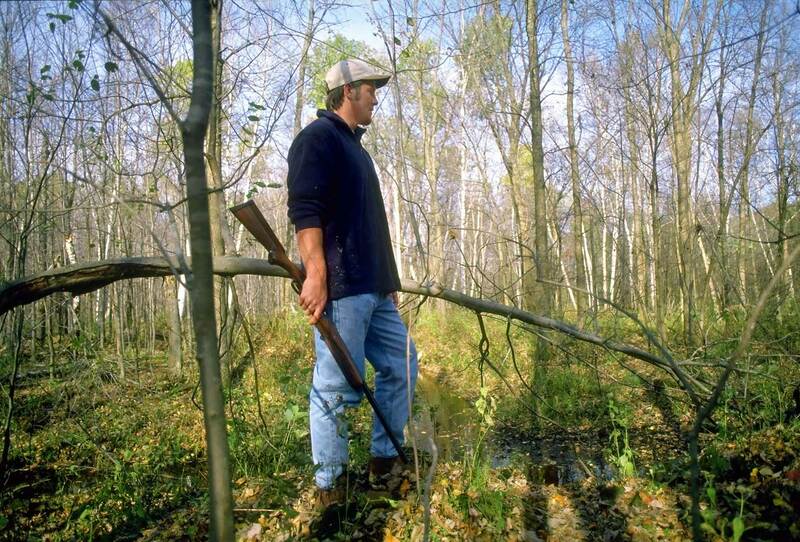 At a private 200-acre hunting and fishing preserve, Favre goes in search of grouse, though not exactly by the book. "Here, grousie! Come on out, grousie!" he calls. The only fauna that respond to Favre's call are a couple of garter snakes. 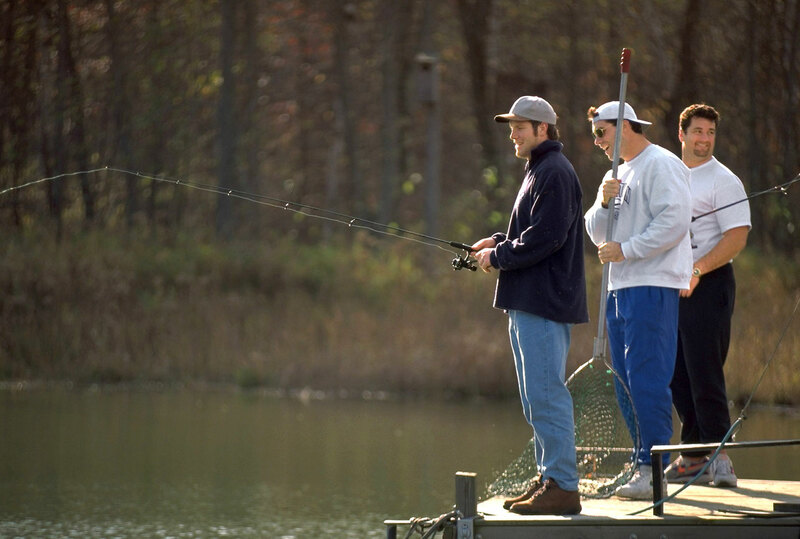 Favre has better luck hooking rainbow trout in the stocked lake, alongside his two best friends on the team, tight end Mark Chmura and center Frank Winters. 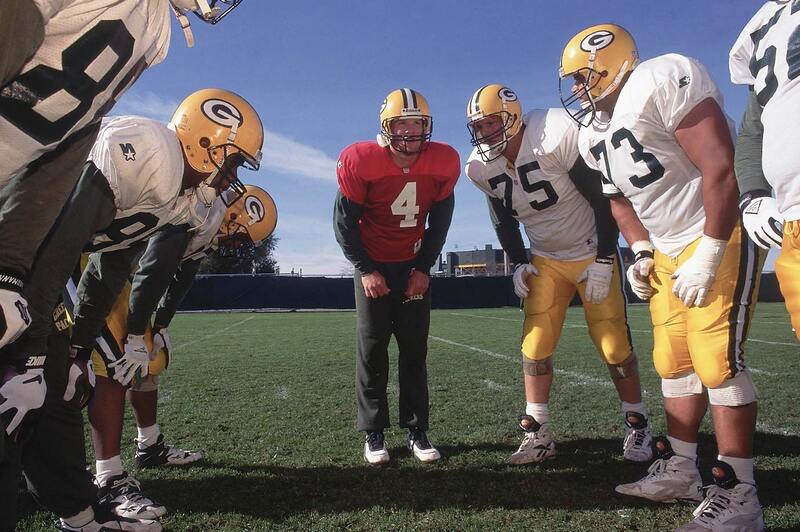 Favre raises his hand during a meeting with head coach Mike Holmgren and his offensive assistants. Each coach has spent two days watching tape of the Vikings. Now they report on each Minnesota defensive player. 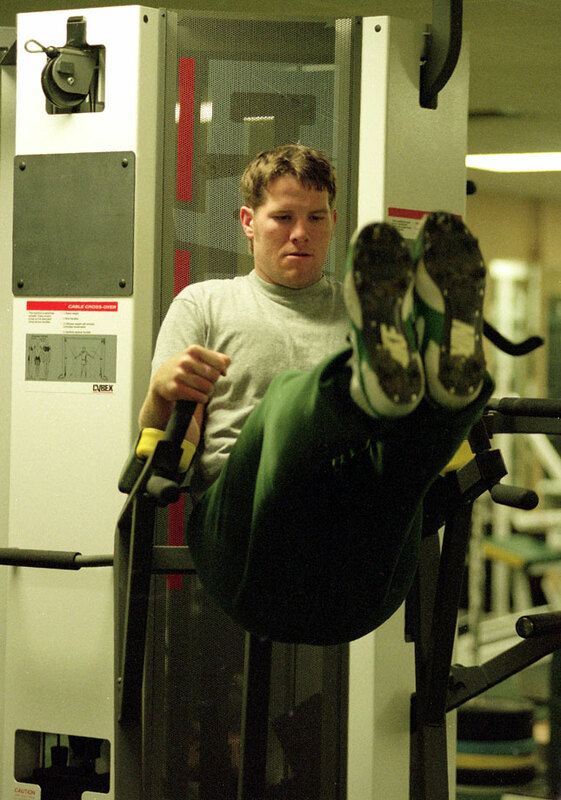 Favre works out in the gym at Don Hutson Center in Green Bay. ...before putting her to bed with a kiss goodnight. Favre makes a 10 p.m. run to quarterbacks coach Steve Mariucci's house to give his four-week-old daughter, Brielle, a birth gift. He takes the sleeping child from her mother, Gail, cradling her and cooing at her. "Hey, Brielle," he says in his best high-pitched daddy voice. "Horse walks into a bar. Bartender says, 'Hey, why the long face?'" 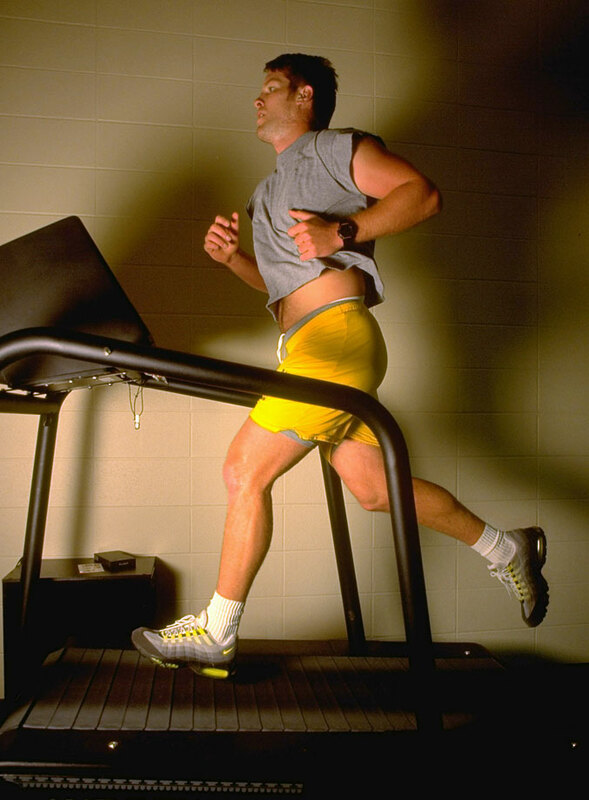 Before lunch Favre hits the treadmill. Favre takes more Musashi and downs two megavitamins (with a total of 12,000% of the recommended daily allowance of vitamin C), two flax-seed capsules and two fish-oil capsules. Favre gets his ankles taped by trainer Kurt Fielding. 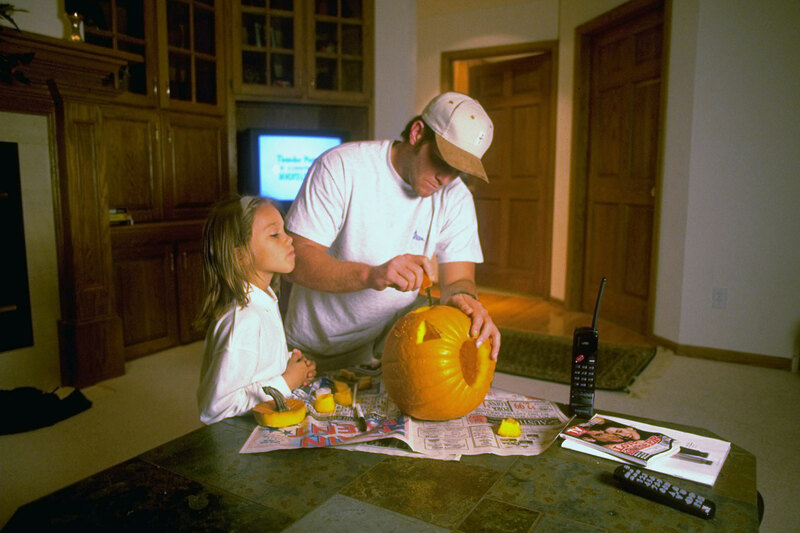 Favre snuggles into bed alongside daughter Brittany, reading a Berenstain Bears story. At practice, new arrival Keith Jackson (88) drops in line with the other tight ends in passing drills. Holmgren wanted Favre to help smooth over any anti-Jackson sentiment on the team, since he had been traded to the Packers by the Miami Dolphins in March but refused to report, citing Green Bay's brutal winters. 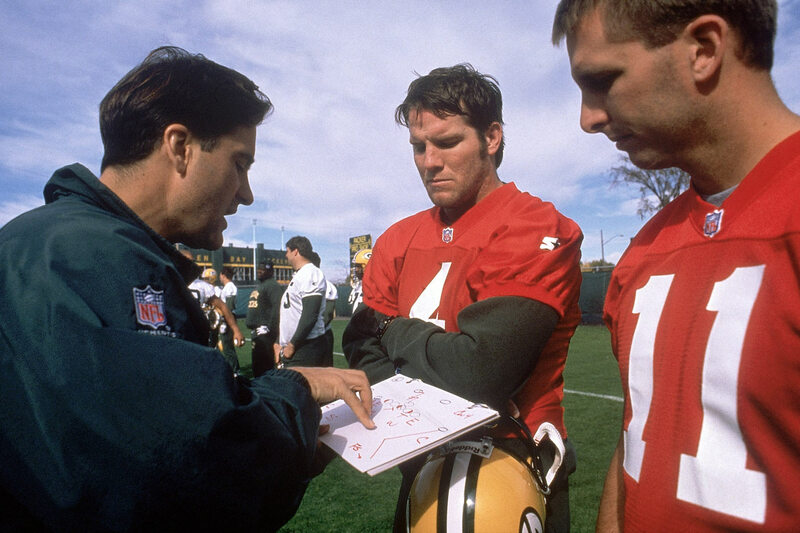 Mariucci goes over a play with his quarterbacks, Favre and Ty Detmer. Before the quarterbacks leave for the day, Mariucci hands them their weekly five-page test in which a single element has been omitted from each of 74 different plays. The quarterbacks must fill in the missing information. Then there's a page of "Draw this play" questions, with six drawings required. 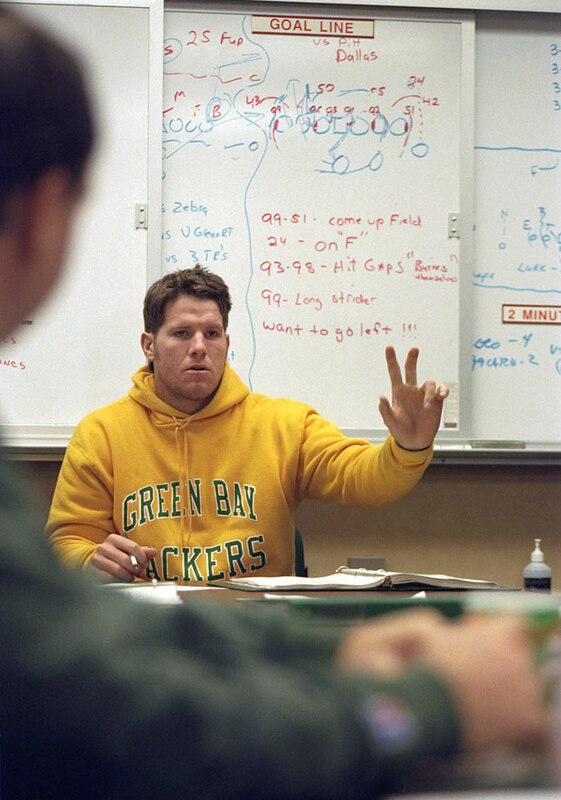 Favre is correct on 70 of 74 formations—Detmer, the Packers' Einstein, misses three—and draws all his plays right except for a sloppily sketched split-end route. 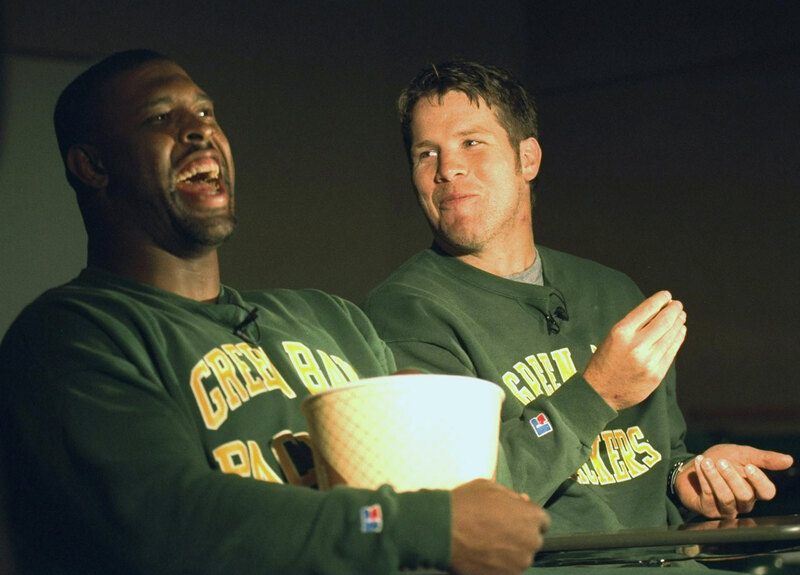 Favre and teammate Reggie White enjoy some popcorn while giving an interview. 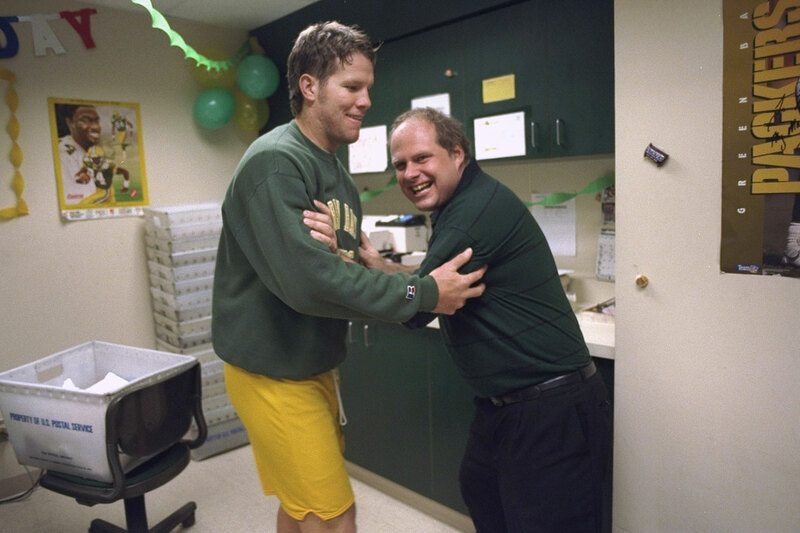 Before he leaves for the day, Favre hosts a surprise 41st birthday party for Green Bay's mail clerk, Leo Yelle, who is developmentally disabled. The party stuns Yelle, who gets a game jersey from Favre and a duffel bag full of gifts from the team. Favre, the only player at the party, gives Yelle a hug and eats some cake with him. In one corner, two secretaries dab at their eyes. 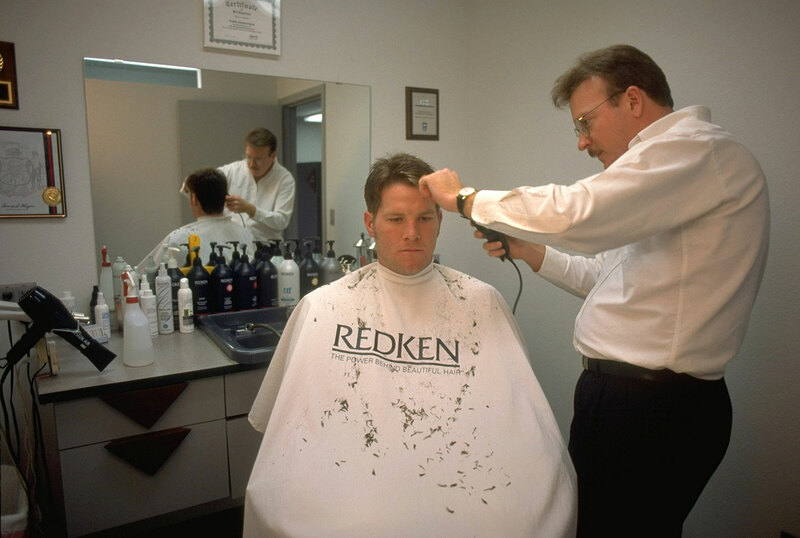 Favre gets a haircut from his barber Keith Zimmerman. Favre ties his cleats in the locker room before Green Bay's game against Minnesota at Lambeau Field. 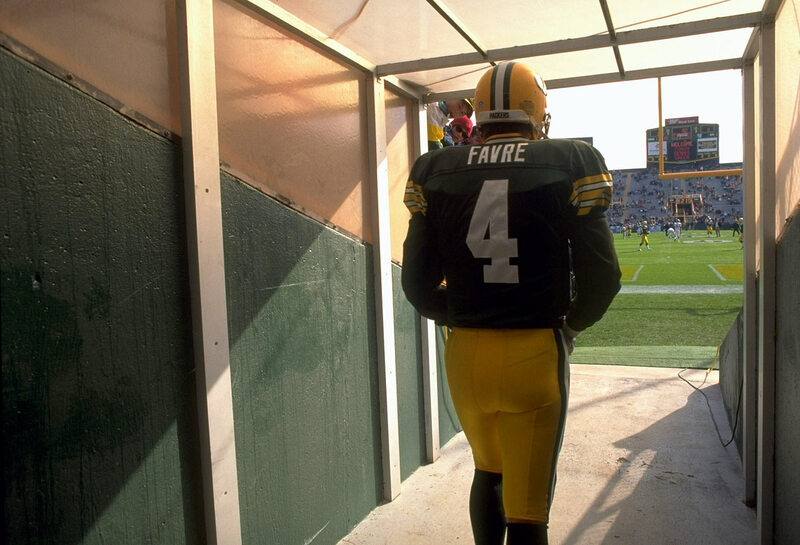 Favre exits the tunnel to take the field for warmups before the game. The final score is 38-21, Green Bay. 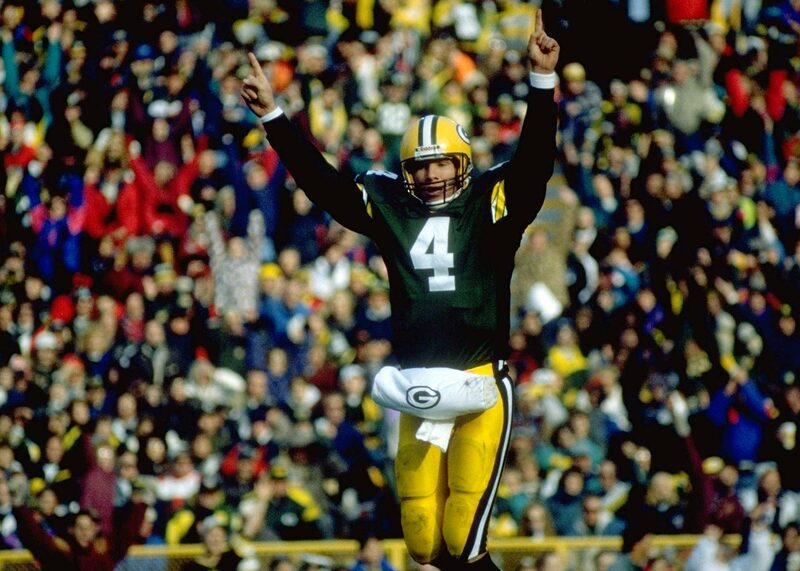 Favre's numbers for the day: 22 of 43 for 295 yards, four touchdowns and no interceptions. SI's annual Where are They Now issue hits newsstands this week and it includes a cover story on Brett Favre, who thinks he could still play in today's NFL. Nearly 20 years ago, Peter King wrote a feature on Favre and spent a week by his side - at home, on the practice field and everywhere between. SI photographer Rich Frishman tagged along for the ride and captured the above great shots of the Packers legend (click here for full-size version). According to the always-reputable National Enquirer, Lindsay Vonn broke up with Tiger Woods because he hooked up with Jason Dufner's ex-wife, Amanda. If you're unfamiliar with Amanda Dufner, here's a crash course. As the headline says, this is a fun rumor and far from fact. Who needs football? The Rockland Boulders of the Can-Am League have offered Odell Beckham Jr. a contract. General Manager Shawn Reilly was quick to point out that the Boulders are "New York area’s only defending professional championship team," however the league's maximum salary of $4,000 a month would put a damper on Beckham's lifestyle. Elizabeth Pipko is a model who should be on your radar. After all, how many Harvard students and Olympic hopefuls look like she does? I put on my journalism boots and reached out to Liz for a quick Q&A. Also, thanks to Robin Watson Hamilton (makeup/hair), Kenneth Polyak (lighting assistant), Red Carter 2015 Collection (swimwear), Magid Hats/Head n Home (Headwear) and The Priceless Parrot Preserve for the exotic birds. Click here for the full-size gallery. Let's discuss Harvard. Were classes as difficult as they seem? Was there a social life? Did you date anyone? Thank you! Classes were basically what I expected them to be. I was a little surprised with my own ability to keep up actually. Definitely a confidence builder! I’m participating in a program through the extension school so that I can continue to do what I do outside of school. This lets me study from home or while travelling so I don’t really have a social life at school, no. And no definitely not dating anyone at school. On to your skating career. How often do you practice? Do you find it difficult to motivate with the Olympics still three years away? Do you think we'll see you in the 2018 Games? I practice about four hours a day, six days a week. I think I've been motivated by the Olympics since I started skating at 10 years old. The fact that the Olympic Games are three years from now doesn't negatively impact or detract from my motivation to participate. I’m in the process of getting over a bad injury right now. I can’t say skating has been easy for me the last few years. But the Olympics are my dream and I will deal with the pain to continue doing what I love. If you had to choose one - Skating, Modeling or attending Harvard, which would you choose and why? I completely fell in love when I first began figure skating. I can't imagine reflecting back on the last ten years of my life and not seeing myself skating. I think skating prepared me for everything I am trying to do in my life right now. The fact that I do more than one thing makes me who I am. Some people are meant to express themselves in more than one way. For me it's skating, modeling, getting an education and writing poetry. I think people should always try to express who they are by finding what they love to do, and by doing it all. If you focus on what makes you happiest and commit to that, anything is possible! Some quick hit questions. What's your all-time favorite movie? GoldenEye! I'm really into all the James Bond movies. And secretly have always wanted to be a Bond Girl. What TV show are you currently loving? I will be forever loving reruns of Friends! Yes, I'm that sappy. What's your favorite fast-food meal? My coach won't love this, but it is french fries. Just between you and I and the Sports Illustrated audience! I am a crazed basketball fan. Definitely Miami Heat for life! Summer has arrived and it's important to make sure your stomach is full. To that end, I am giving away five Summer Survivial Kits. Each kit comes with two bags of Bauli Mini Croissants, two bags of Viki’s Granola snack size packs and one box of Sour Jacks, which is perfect for the beach, an extended car ride or vegging out in front of the TV and watching Orange is the New Black. I'll send packs to the 20th, 40th, 60th, 80th and 100th person to email me (andy_gray@simail.com) the price of a pizza at the MLB All-Star game this year. The answer was in A.M. Hot Clicks. Please make the subject line "Summer Survival Guide." Next Impulse Sports has a look at the 25 most gorgeous Canadian actresses. My favorite Canadian, of course, is Kate Bock. Here she is discussing the nuances of her homeland. Rolling Stone handed out its Half-Year Awards for professional wrestling and Adrian Neville's Red Arrow won for Most Jaw-Dropping Finisher. Couldn't get enough of today's LLOD? Here's a video going behind the scenes of Elizabeth Pipko's photo shoot. Shout out to Cari Paige (director) Robin Watson Hamilton (makeup/hair), Kenneth Polyak (videographer), Drew Taylor (colorist) and Genae Parks (associate editor). ELIZABETH PIPKO SWIMWEAR SHOOT 2015 from Elizabeth Pipko on Vimeo.